It’s no surprise that your pool is the centrepiece of your home during the summer months. However, with great fun, comes great responsibility – the added pressure of having your pool ready for use 24/7. So, to make the upkeep easy, try these five products for a healthy pool and for that summer long sparkle! Ahh, sweet relief as you dive into the pool on a hot summer’s day. But did you ever think that you might be sharing your pool with an ecosystem of bacteria? Yuck! Luckily, we have a product for that. BioGuard Pacific Blue Power Tabs are unique patented 160g pool tablets that provide optimum sanitation for pools, as well as having multifunctional capabilities to assist in buffering and clarifying pool water. Pacific Blue Power Tabs will provide consistent healthy water for better protection. So easy to use, you can even put the Power Tabs in skimmers, floaters or feeders. During the summer, your pool is exposed to an increased level of UV, which impacts the effectiveness of chlorine in your pool. BioGuard Stabiliser is a granular cyanuric acid that prevents chlorine loss due to sunlight, for use in chlorine pools. If you have a salt chlorinated pool, we recommend BioGuard Salt Pool Stabiliser. Using stabilisers reduces maintenance costs and chlorine consumption, making it ideal for outdoor swimming pools. In salt chlorinated pools it also extends the life of salt cells by reducing chlorine generation demands. Ducks are cute and insects are fascinating, just not in the pool! BioGuard AlgiGuard is a highly effective quat-based algaecide that lowers surface tension of pool water to help repel ducks and insects. It also works well alongside chlorinating products to prevent a wide spectrum of algae growth and unlike other duck/insect repellents the pool can be treated while in use. AlgiGuard also has a negligible effect on water balance, is stable in sunlight and will not evaporate – so you’ll save money! There’s nothing worse than waiting for a pool treatment to run its course, while you’re forced to sit on the sidelines in, what could only be described as, perfect pool weather. Sigh. 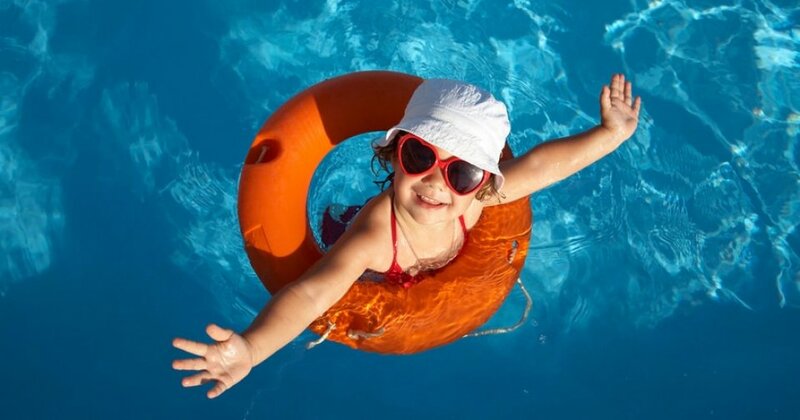 You don’t have to wait – BioGuard Oxysheen is a chlorine-free, stabiliser-free oxidiser treatment for swimming pools. It’s easy to use, fast dissolving and swimming can resume one hour after treatment. It’s perfect for destroying contaminants and organic waste, so your pool can always be sparkling! Your pool filter has been working hard all summer long, it’s time to give it something in return. BioGuard Filter Brite restores the efficiency of your filter by removing scale and rust deposits, greases, oils and organic wastes, whilst sanitising your filter. Basically, you’re helping your filter become a better filter by improving its circulation and filtration. By taking care of your filter, you are lengthening its life, reducing maintenance costs and keeping your pool healthy. Win-win! Check out our full range of pool products and chemicals.